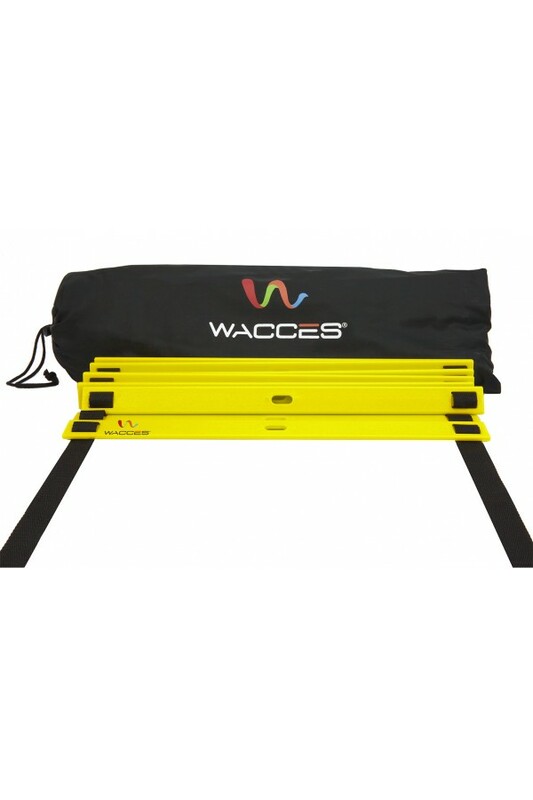 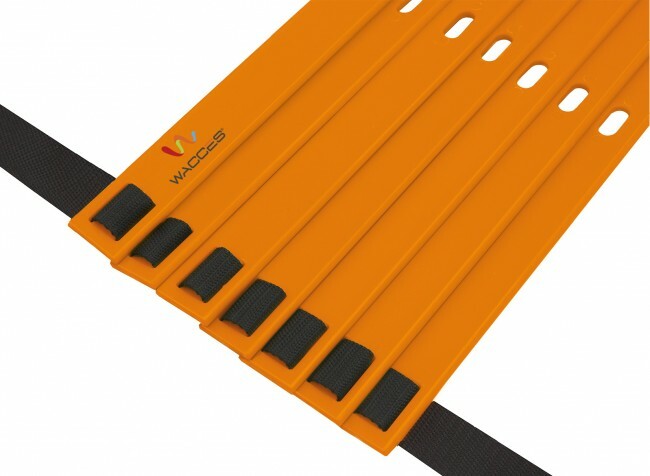 Increase your lateral speed and improve your balance with Wacces Agility Ladder. 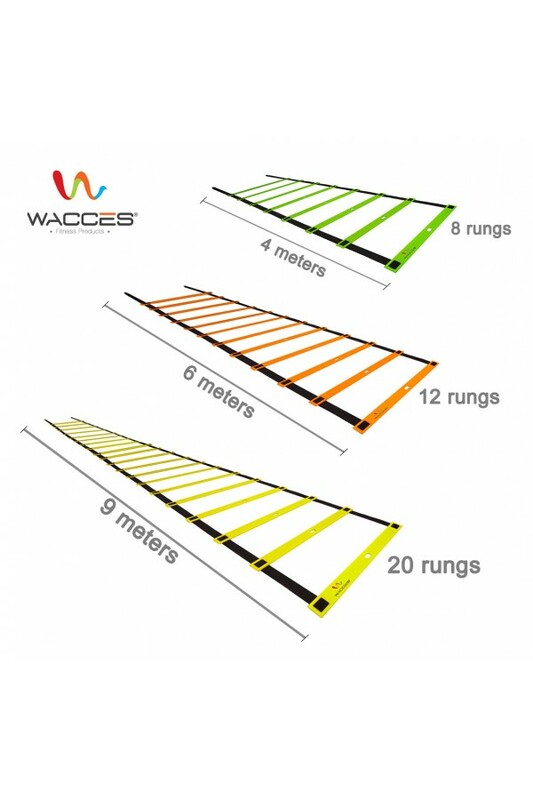 Wacces Speed Ladder agility workouts are generally one of the most successful methods to increase agility, speed and co-ordination. 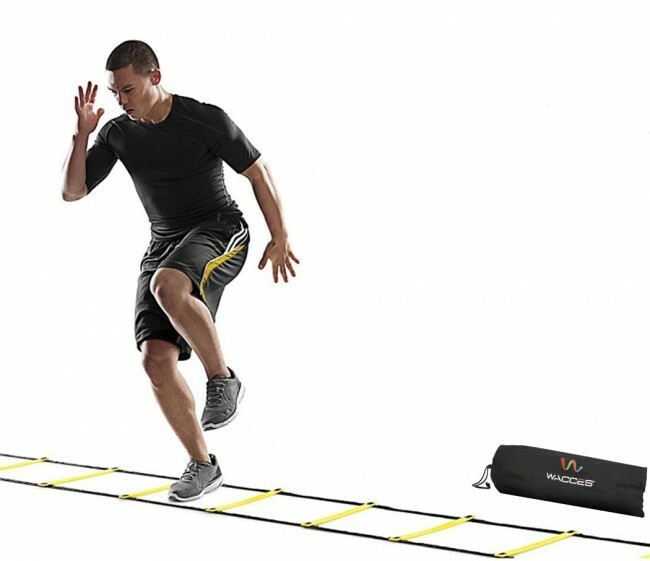 Getting your body ready to compete requires consistent training in rhythm, timing and footwork. 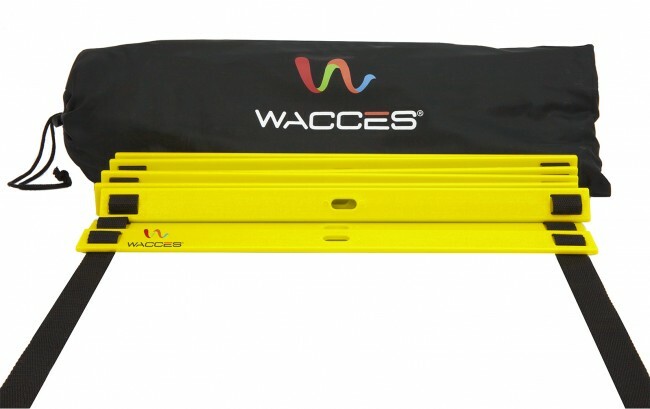 Athletes looking to improve their ability to quickly change direction will benefit from performance training with the Wacces Ladder. 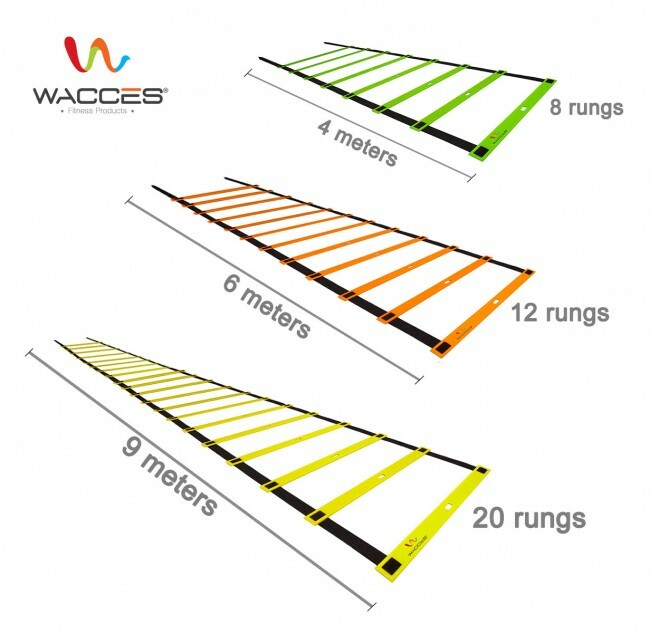 Increase your lateral speed and improve your balance with Wacces Agility Ladder. 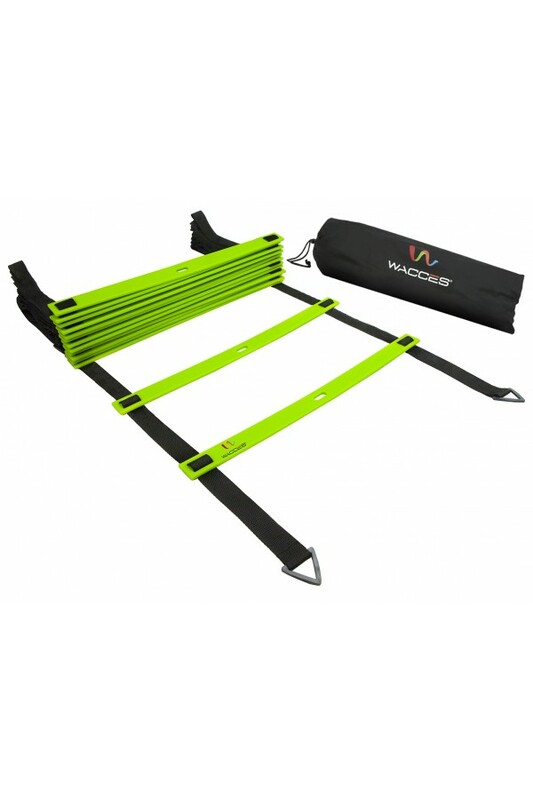 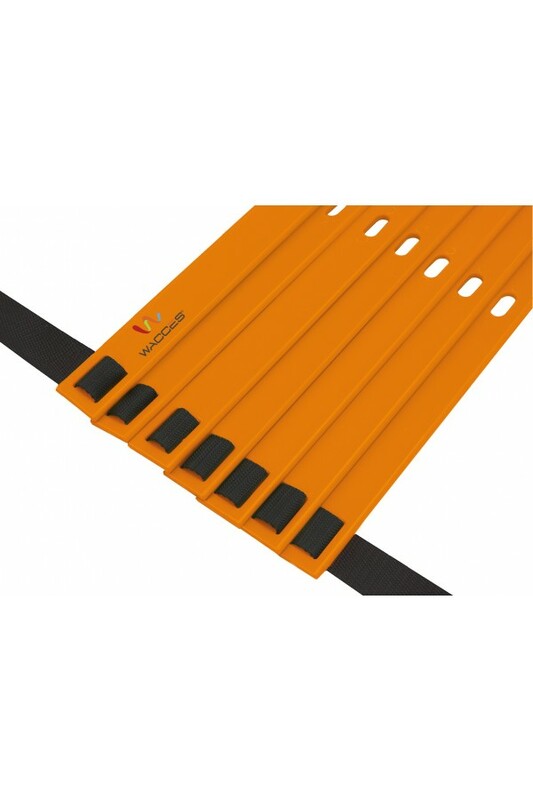 This flat-rung agility ladder is excellent for every athlete seeking a faster and more controlled performance. 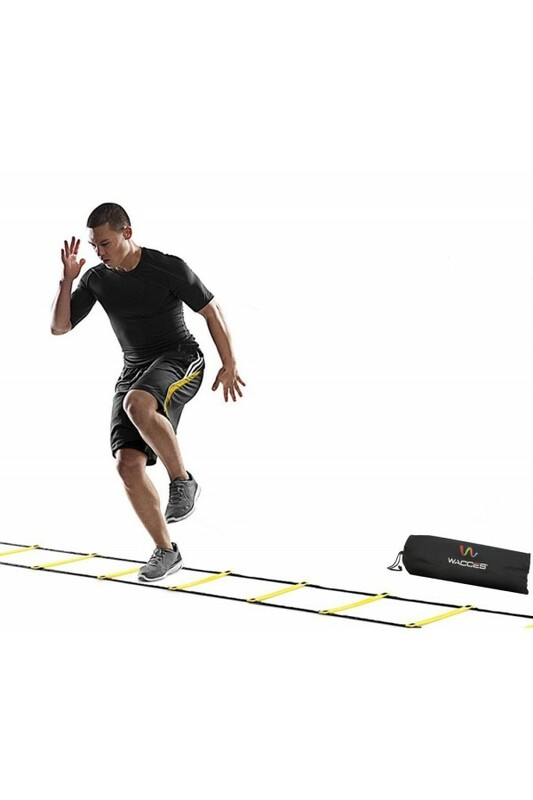 Add resistance to your sets for even greater benefits as you train to increase speed, endurance, and explosive power. 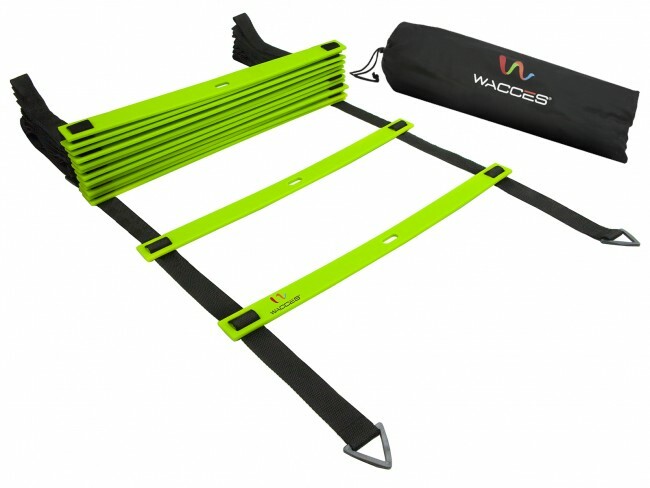 Its durable construction features tough nylon straps and 8 to 20 heavy-duty plastic rungs for high-intensity training.